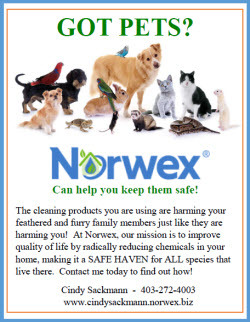 Newsletter Advertiser Links – Thank you for your support! 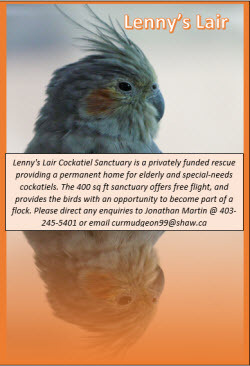 Avian Welfare a resource centre on avian welfare and related issues. 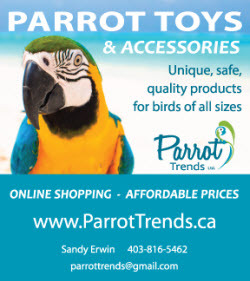 Cheep Parrot Toys N Tips – how to make your own parrot toys, gyms, etc. 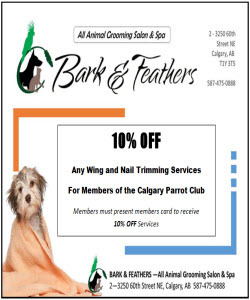 If you have a great link you would like to see here, or any questions, don’t hesitate to e-mail us. 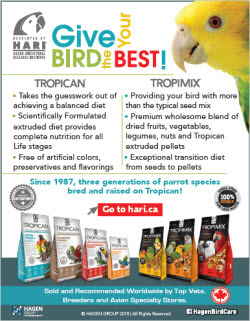 These are free books for all parrot caregivers. 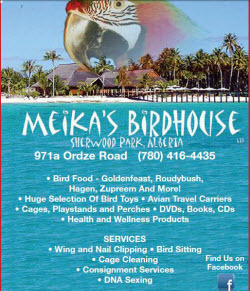 The books touch on toy making, types of toys, different toy materials, individual parrot preferences, shredders, refillable, foraging toys, food kabobs, even how to make fun and easy play gyms from PVC. Chock full of suggestions and ideas to get your creative juices flowing. 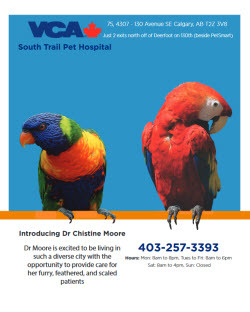 Excellent resources, and comes highly recommended by various parrot experts including Dr. Susan Friedman. The information contained in this website is for general information purposes only. 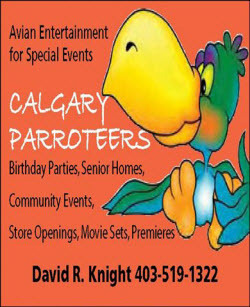 The information is provided by The Calgary Parrot Club and while we endeavor to keep the information up to date and correct, we make no representations or warranties of any kind, express or implied, about the completeness, accuracy, reliability, suitability or availability with respect to the website or the information, products, services, or related graphics contained on the website for any purpose. Any reliance you place on such information is therefore strictly at your own risk. 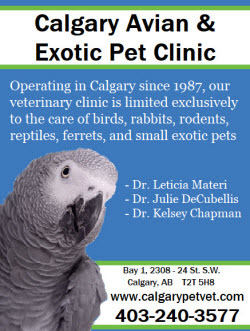 Through this website you are able to link to other websites which are not under the control of The Calgary Parrot Club. We have no control over the nature, content and availability of those sites. The inclusion of any links does not necessarily imply a recommendation or endorse the views expressed within them. Every effort is made to keep the website up and running smoothly. 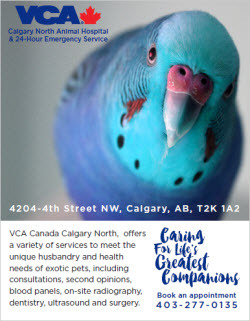 However, The Calgary Parrot Club takes no responsibility for, and will not be liable for, the website being temporarily unavailable due to technical issues beyond our control.